Combine milk and pudding mix. Crush candy bars and add to pudding mix ( you can reserve some for garnish). Fold in Cool Whip. Pour 1/2 of the pudding mixture over the first cake layer. Add remaining angel food cake. Pour the remaining pudding mix. Garnish with crushed Butterfingers, if desired. 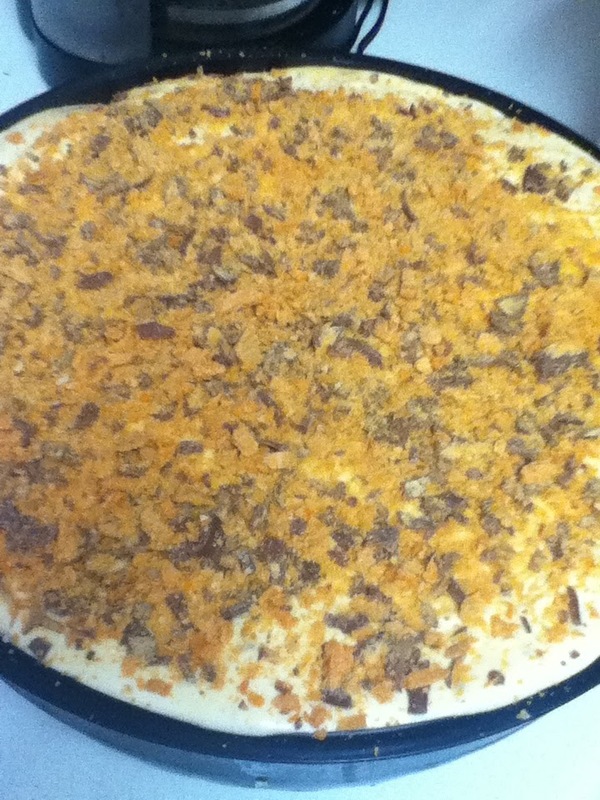 oh boy cool whip, pudding (a little bit of cake) and butterfinger!!! well...I hope you saved some for me, this sounds incredible!! What a great idea! I love butterfingers and this looks delicious. YUM! I adore butterfingers and angel food cake. Putting them together with Cool whip is genius! Angel food cakes are so versatile. A Butterfinger version sounds tasty. Thank you for participating in the Joy of Desserts linky party. I can see why you love this! Butterfinger pieces on top sound amazing! ooooh how i lovvvve butterfingers!!!! Thanks so much for linking up at wonka wednesdays!!!! Hope to see u next wednesday!!!!!!!!!!!!!! I just love Butterfinger, which means I will just love your wonderful dessert. It looks delicious! Thank you so much for sharing with Full Plate Thursday and hope to see you again real soon. Hope you are having a great week! This looks great! Thanks so much for sharing it at Savory Sunday!! Have a great week! Angel food cake, vanilla pudding, and butterfingers are, individually, some of my favorites. So, I must make this recipe! Thanks for sharing! And so you know, I'm newly following via GFC from the SUNDAE hop! Anything with Butterfingers has got to be delicious! Thanks so much for linking your heavenly recipe up at Sweet Temptations! That looks really gooey and wonderful! Use a bought angel food cake and it would really be simple too.